Joining Amerika Now during the first hour of the show is retired U.S. Marshal Mike Earp, a descendant of the legendary lawman Wyatt Earp. He’ll be discussing his new book, U.S. Marshals: Inside America’s Most Storied Law Enforcement Service. Blending history and memoir, Mike Earp will offer an exclusive and fascinating behind-the-scenes look at the most storied law enforcement agency in America, illuminating its vital role in the nation’s development for more than 200 years. From the service’s establishment in 1789 to its long and colorful history, famously interwoven into the mythology of the Wild West, today’s Marshals Service is also one of the least known branches of American law enforcement. Unlike their counterparts in the police and FBI, U.S. Marshals aren’t responsible for investigating or prosecuting crimes. They pursue and arrest the most dangerous criminal offenders, a hazardous job often involving gun battles and physical altercations. Mike will talk about the service’s early days, explaining its creation and its role in helping make continental expansion possible, as well as the new U.S. Marshals Service, which has spear-headed an incredible change in the structure of American law enforcement. Did you know that the U.S. Marshals are the country’s most effective law enforcement agency today? The Service tracks down and apprehends more felons than any other law enforcement agency in America, and more than every other Federal law enforcement agency (FBI, DEA, ATF, Postal Service, etc.) combined! Mike will share his own experiences as well as the stories of other men and women of the U.S. Marshals Service, past and present, offering a moving and illuminating tribute to those who have dedicated their lives to keeping the nation safe. Mike Earp is the former Associate Director of Operations, having retired as the third-highest-ranking official in the U.S. Marshals Service after 29 years on the job. As the associate director of operations, he supervised all operational divisions and programs of the agency. Award-winning, bestselling author and angel expert Joanne Brocus joins the show during the second hour to discuss her latest book, The Power of Angels: Discover How to Connect, Communicate, and Heal With the Angels. Millions of people around the world believe in angelic beings, including guardian angels. The idea of guardian angels remains one of the most intriguing and, for many, comforting notions. Do we have our own guardian angels, and have those angels been our spiritual support systems throughout our lives? How can we gain access to the power and protection of archangels? Joanne will discuss angelic beings, archangels, and their hierarchies. Her book, The Power of Angels, is insightful and inspiring, and takes take you on a a journey of self-discovery and healing as you feel the love and support of the angelic kingdom all around you. 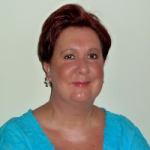 Joanne Brocas is a professionally trained medium, angel expert, intuitive healer, Reiki Master/teacher, and award-winning, best-selling author with more than two decades of experience in afterlife communication and healing. During her childhood, Joanne communicated with her guardian angel and has maintained a very strong, clear connection with the spirit world and angelic realm throughout her life. Joanne is the Founder of Chakra Medicine School of Energy Healing and Intuitive Development, helping teach others how to develop their intuitive awareness, connect with the angels, and ignite their own healing power. Born in South Wales, Joanne now lives in Orlando, Florida, with her husband and teaches board-approved healing programs and workshops nationally. If you’d like more information, please visit her website http://chakramedicine.com. NOTE: Dr. Joan C. King passed away earlier this month. An international visionary, speaker, author, and coach, Joan will be sorely missed by those in the spiritual and empowerment communities. The following is a rebroadcast of an interview discussing her book, A Life on Purpose: Wisdom At Work. We live in a world in crisis. We are faced with a crisis of security. The real estate and banking systems are in turmoil. Workers are being laid off in alarming numbers. People still on the job wonder if they will be next, as they attempt to juggle their jobs as well as the jobs of those no longer employed. Those laid off are uncertain that they will find employment in a shrinking job market. We are faced with a crisis of identify, of values, and of our relationship with our inner most being. Compounding all of this, there is a crisis of leadership, a woeful lack of authentic leaders who are guided by their own integrity and alignment and who inspire integrity and alignment in those around them. There is an epidemic crisis of meaning. We are between stories. The old story of how we understand the world and how we fit into it is no longer effective. We have yet to learn the new story. Dr. King has written her book, A Life on Purpose, to help us all do what we were born to do by finding and engaging in a life on purpose through writing a new story for ourselves, our work, and the world. Dr. Joan King’s background includes years of spiritual studies in the Dominican Convent, followed by years of extensive scientific research in a medical school environment. Neither experience alone fulfilled Joan’s yearning, until she integrated the two in the concept of “cellular wisdom” explored in her books. A Life on Purpose is the third in the Cellular Wisdom series, which provides the foundation for Joan’s coaching, coach training and mentor coaching, as well as her speaking and writing. Joan left the convent and entered graduate school to study science more deeply as a way to examine the substance of life and human behavior and “what makes people tick.” After obtaining a multidisciplinary Ph.D. in Neurosciences and Psychology from Tulane University, Joan was engaged in basic research in neuroscience for twenty-five years.A Professor at Tufts University Schools of Medicine in Boston for 20 years, Joan served as Chair of the Department of Anatomy and Cellular Biology for the Schools of Medicine. She envisioned and created a Multimedia Resource Center on the Boston campus and also developed and directed the Center of Research in Reproduction at Tufts University from 1992-1997. Joan has now been engaged in scientific studies for nearly half a century. In the course of her personal development, she began to utilize scientific principles as metaphors and tools to expand consciousness. Joan articulates her philosophy in scientific metaphors in her Cellular Wisdom series of books. Having experienced the processes of self-examination, self-reflection, and self-actualization, Joan designed and established a coaching service, Beyond-Success, LLC to assist others in these processes. In partnership with Dr. Sharyn Ann Lenhart, Joan established a second business, Transition Pathways, to help individuals create pathways for life enhancing career and personal transitions. “Life emerges from the energy that emanates from an individual’s core beliefs and the focus of their thinking.” This philosophy in the grounding foundation of Joan’s coaching work to help clients unfold aspects of their authentic selves, unmask limiting core beliefs, and recast them as actualizing principles, integrate deep understandings, and claim their creativity, in a process that leads to full, authentic self-expression. Joan is a Master Certified Coach helping people to simultaneously achieve success and go beyond success to self-actualization. For more information, please visit www.cellular-wisdom.com.